Moped Depot We are now servicing the NE Ohio area as dealers. 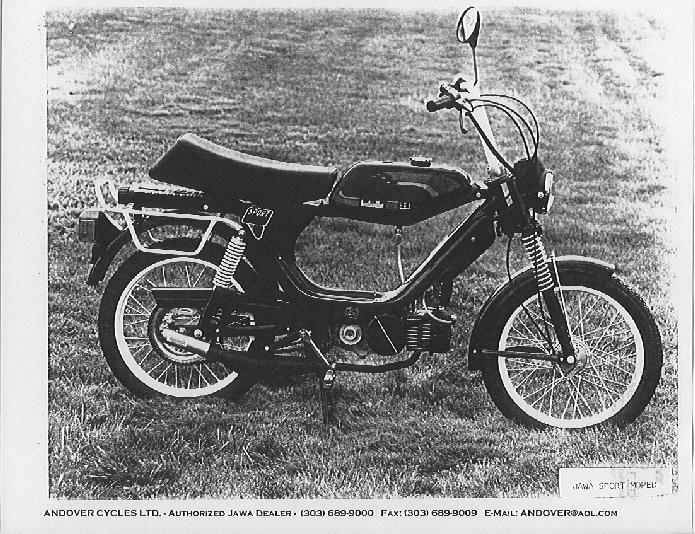 MopedsOnline.Com Parts and performance kits for Tomos, Puch, Motobecane, Garelli, Trac and other brands. Five Flags Motor Bikes Gas and electric bicycles as well as mopeds, minibikes, motorized scooters & skateboards. 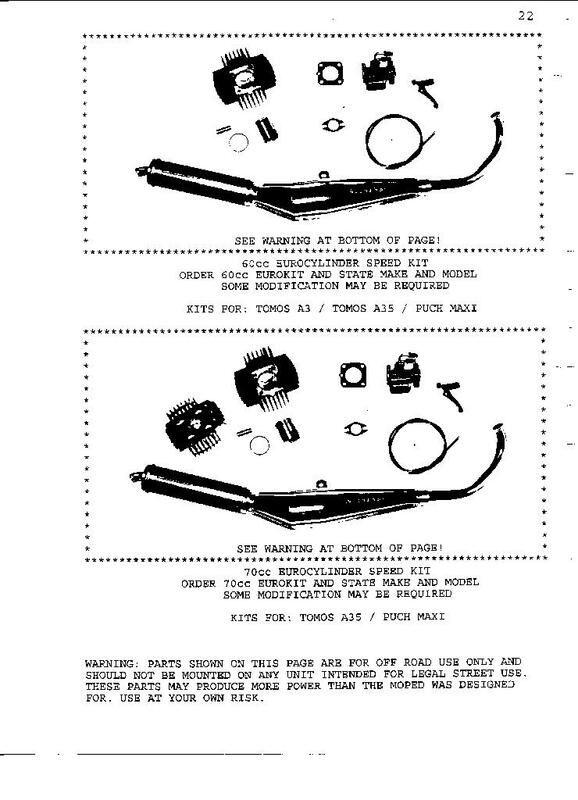 We sell ZAP & Currie Technologies Electric Bicycles/Motor Kits. We sell	Solex & Cruzzer (Whizzer) Motorbikes as well as Buzz UK, MX-5 Superbike and other gasoline bicycle engine kits. 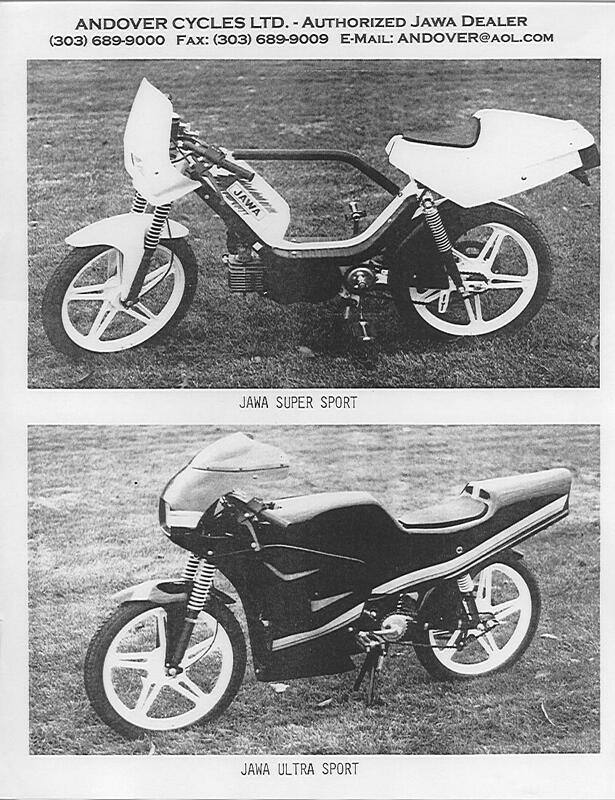 Logan's Valley Motorcycles Italjet, Whizzer, Zap, as well as used mopeds and motorcycles. 1440 W. Main St. Propulsion Unlimited Please check our site at www.propulsion-unlimited.com We are the Greater New York distributors for Velocruz and provide parts for all VeloSolex, Solex, Micron and other derivatives. We service the service the industry and direct clients. Andy's Cycle Shop We have been selling and servicing bicycles and mopeds since 1979. We still have thousands of new and used parts in stock for all major brands. We bought out moped palace and other famous well-known shops. Originally we bought Kaplans bikes in Elizabeth. Please call or e-mail me. We are located at 22 W. St. George's Ave. Linden NJ Phone#908-486-3032 Fax#908-925-6816. All of our mopeds are 49cc with a maximum speed on level ground of 30 mph, which meets the SC code for definition of a moped. ZippyMoped Our current inventory includes, Puch, Motorbecane, Batavus, Piaggio Vespa, Peugeot and Garelli even an old water cooled Odyssey. Some are complete running bikes for sale and some are parts bikes. We are located in the beautiful Silicon Valley, near sunny, San Jose, California. New Castle Bike and Scooter We carry Linhai Yamaha, Kinetic scooters and mopeds and also Go-Peds. 1333 Broad St.(Hwy 38), New Castle,IN, 47362. Phone:	765-529-4252. Scooter Therapy Yes Complete bikes, parts, technical tips on their website. We are an independent motorcycle repair shop and work on all makes and models, except Harley. We also do specialize in BMWs and do attend most rallies. We also enjoy scooters and mopeds, having several customers with old vespas and lambrettas. Thank you for providing your service as the moped message needs to be spread about America. We are the only dealer in a tri county area comprising over 350,000 people. I am sure some of these persons could really use a moped for transportation and pleasure. "I also carry used from $350 to $850 and a selection of used parts back to the seventies (Lots of gold there)"
This is located 1 mile south of 161/33. Supposedly, Tomos TSR will be a 2-seater. 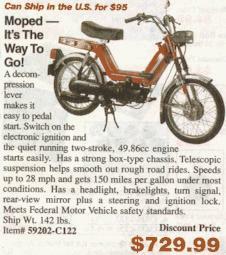 Bicycle and moped sales, rentals, repairs and overhauls. Open during the season Mondays through Saturdays from 10am to 5pm, Sundays from 10am to 4pm. AMEX, MC, V and checks accepted.